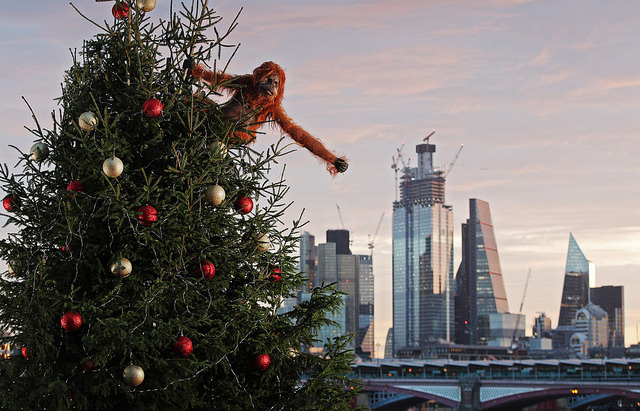 This morning Londoners spotted what appeared to be an Orangutan clinging to a Christmas tree on London’s South bank. 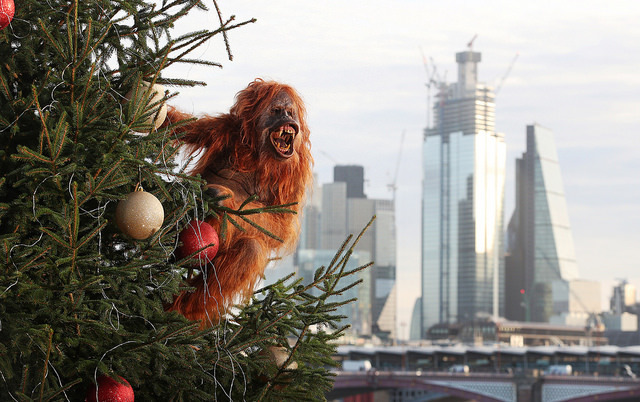 The displaced ape was actually part of supermarket chain Iceland’s Christmas campaign, with the stunt being staged using sophisticated animatronics to highlight the retailer offering the choice of Christmas without palm oil. The campaign was created and delivered by PR and creative agency Taylor Herring alongside the Iceland team. 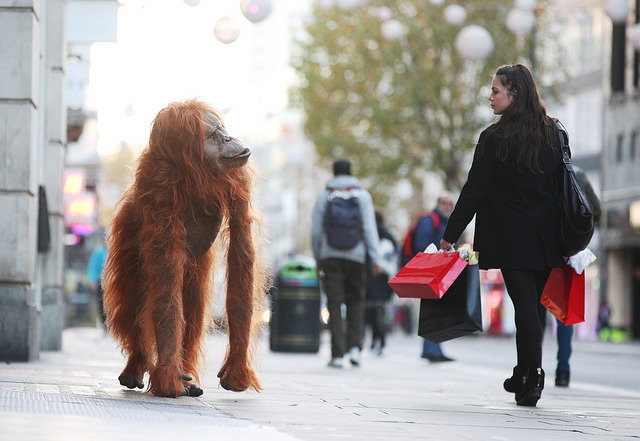 The disruptive campaign follows the banning of Iceland’s Christmas advert last week. A team of special effects artists spent months designing and building the ultra-realistic animatronic ape, which is controlled both remotely and via a specialist puppeteer. The campaign has received mass public support after the supermarket chain’s Christmas advert was banned for being too political. More than 12 million people have now watched the ad on Facebook, with it gaining the support of numerous high-profile figures including James Corden and Paloma Faith. Iceland made the decision to demonstrate to the food and retail industries that it is possible to reduce the demand for palm oil by seeking alternative ingredient solutions.